Individuals remaining highly specialized, often identifying themselves as their role (“I’m a tester, so I [should do x] and not [do y]”), instead of as a team member. This problem is even worse if this is how they are incentivized (e.g., coders are rewarded for slinging code, not for making sure done, quality software is releasable as soon as possible, testers are rewareded for finding bugs, etc.). These first two naturally lead to activities with heavy phase gating, where “throw it over the wall” is the method of (non-)communication between gates. Here’s a little story to demonstrate this principle. Even Alex Rodriguez, generally accepted as one of the most selfish and detached baseball players of all time, “contributed where needed” by moving from Shortstop to Third Baseman when he was acquired by the Yankees, where Derek Jeter was already established as Shortstop and team captain. “Correct utilization” in Rodriguez’ case could have looked like, “the money spent on Alex must go towards his contributions as a Shortstop, because that clearly is his best / most experience-backed defensive position…so if we don’t have a need for a Shortstop, it’s not the best use of our money, so don’t acquire him.” I’m guessing Yankees fans were pretty happy that wasn’t the rationale and allocation / utilization strategy that was actually used. Did the Yankees expect Rodriguez to be the best Third Baseman ever? Better at Third Base than at Shortstop? More comfortable there? I hope not, at least not initially. Third Base is about playing the “hot corner” of sharply hit balls (hand speed), long throws to first, and knowing when to bare-hand slow-rolling grounders. Shortstop is about range, leadership, and working in tandem with the Second Baseman. But whatever his shortcomings may have been at his new position, they knew that having him playing at a less-than-ideal defensive position was better for the system (which would include offense, not just defense) than not having him at all. With more natural interaction between specialties, the “throw it over the wall” and “not my problem” phenomenon start to fade away. Where there were things that were treated like strict, detached handoffs in the past, we now see at the very least informative walkthroughs between specialties, if not outright collaboration in building the artifacts at hand. This sort of collaboration – pairing, swarming, mobbing – eliminates handoffs, because multiple people have their hands on something at once. There are far fewer wait states, because the team as a whole relentlessly focuses on the most important work at hand. No analyst available? What can we learn on our own to start? Who can we talk to? How can we leverage the inherent low risk of our small batch (determined by Sprint length) to do something that makes a reasonable amount of sense, even though we still wish we had someone with this specialty around? Asking these questions become both a cause and an effect of a team who feels empowered, motivated, and accountable. Team members start to realize that underneath, they’re all doing the same thing – discovery, experimentation, and building something to satifsy users. Designing the right architecture involves understanding the user’s needs and the product’s vision (Architect <-> BA <-> PO). Coding is judged by whether it works and whether it solves the user’s problem – i.e., the cornerstones of testing, verification and validation (Programmer <-> Tester <-> BA <-> PO). Good architectures allow for the testing of the most granular structures to the most coarse (Architect <-> Programmer <-> Tester). Test cases start out very abstract and declarative, and move towards detail and imperativeness – just like the implementation of a feature in code itself (Tester <-> Programmer). We’re not only on the same team, we’re all doing the same thing. Our specialties are merely dimensional views of the same thing, with the same goals. We have more in common than we do in difference. We are discovering, experimenting, and building valuable, high-quality solutions to delight users. All of us. Together. We’re not only on the same team, we’re all doing the same thing. Our specialties are merely dimensional views of the same thing, with the same goals. We have more in common than we do in difference. We are discovering, experimenting, and building valuable, high-quality solutions to delight users. All of us. Together. Again, the value or breakthrough here isn’t that idea itself, because that’s always been true – the value and difference is acknowledging and optimizing for that fact, instead of pretending it’s not true. Last time, we talked about the basics and the core why behind the Sprint Burndown. Now, let’s talk about the Sprint Backlog in more depth, and at the same time move towards the bigger picture of metrics and audience. Understand that a burndown is a crude, single metric – so there’s a lot of conversation that needs to come along with it. That is, just having a Sprint Burndown, even if it’s accurate and up-to-date, is rarely enough to-know-where-you-are (see the previous post about why this is an important need). For an example, enter the Daily Scrum – if the SB looks good today, but Jimmy is totally stopped on a huge, key task, for example – the team should hope they’re not just looking at the SB and saying “looks great, moving on…”, and they should hope Jimmy is speaking up (or at the very least, the Scrum Master is helping facilitate that), because things are not “great.” That’s not where they actually are, regardless of what the SB says. – then I actually recommend you stop using it immediately, because you’re not doing anything with it that’s intended – you’re not really believing it (you might say you’re not actually inspecting it), and most importantly you’re not using it to adapt. You’re wasting your time, and you or someone else is likely drawing conclusions from it that are very dangerous because they’re so detached from reality. The SB, when used, or any other how used to meet need-to-know-where-we-are, is explicitly for the team, as one tool that will help guide them to meeting their Sprint Goal. Outside observers don’t have enough context for it to mean anything of value to them by itself, and for the team to add the context would involve so much time on their part (it would go well beyond just observing the Daily Scrum) that you may as well put the outside observer onto the team – which is impractical for all sorts of reasons, and not what the outside observer is after, anyway. Even so, I oftentimes see managers and others outside of the team trying to use one simple thing, like a Sprint Burndown, to draw conclusions that have nothing to do with what’s being tracked, or the actual goal of the artifact in question. A Sprint Burndown, quite literally, tells you none of these things. Trying to use it for these means will be very frustrating for people outside of the team, because it just won’t work. Trying to use it for these means will be very frustrating for people on the team, because that inevitably comes across as (and most often actually is) micromanagement. OK, so I’ve said that the SB is not the tool for understanding these things, but also that these things are still valuable – so, what are some good tools to understand these things? Next time we’ll talk about the answer to that question, which will also actually help us understand more about the Sprint Burndown. 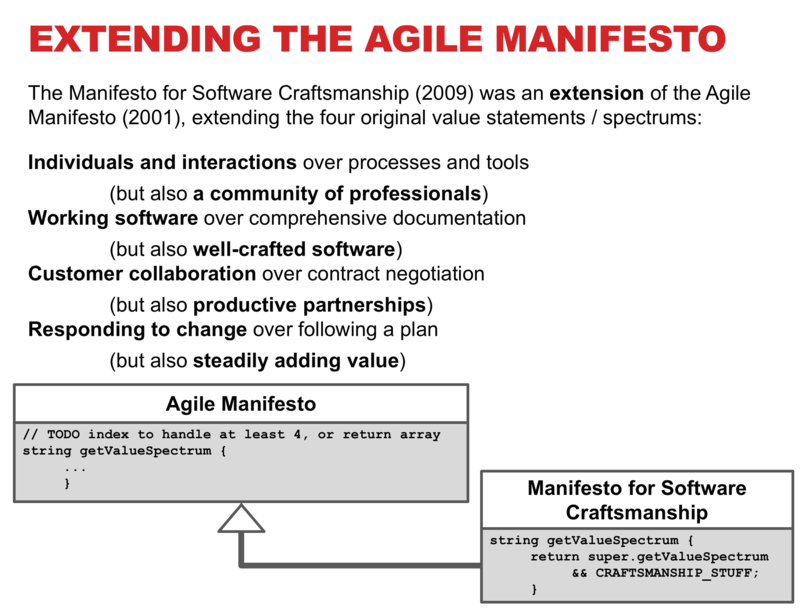 Sometimes teams, and now well-accepted frameworks, misuse and misunderstand agile estimation concepts at a deep level, to the extent that all of the potential value of the practices is stripped away. This series will talk about theory, whys, and whats behind some of the concepts and practices, and allow you and your teams to take back the power and value of agile estimation techniques! Remember, eight Story Points means two days for our team! With a team of 5 coders and testers, use a Velocity of 40 points per Sprint. Both of these statements fall victim to multiple misunderstandings regarding Story Points. I’ll call the two scenarios described here “normalizing Story Points,” as that’s a reasonable umbrella term to cover them both. They are slightly different, though, so I’ll also cover some of the differences below. There are fundamental issues with normalizing Story Points that remove the advantage of, and any possible need to use, Story Points – that is, normalizing Story Points also neutralizes Story Points – it makes them useless.